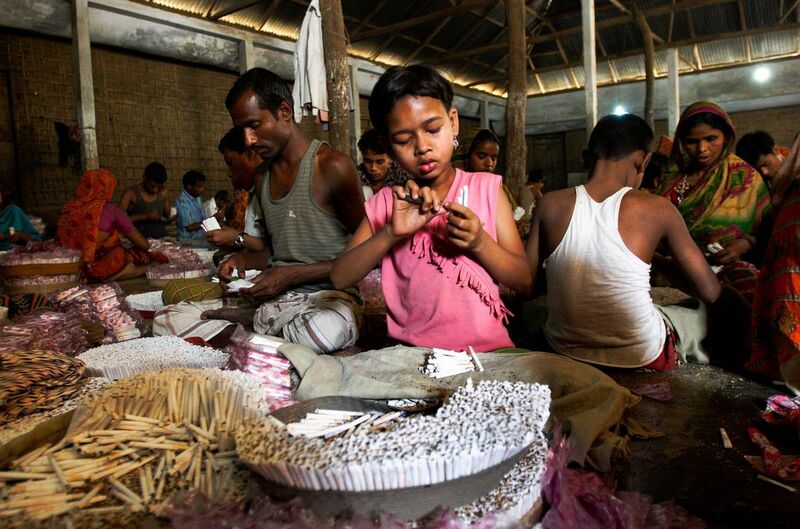 Children work at bidi, shredded tobacco factory at Haragach. Rangpur, Bangladesh. March 2010.